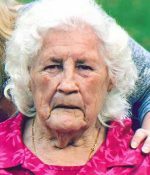 Remembering Virginia M. McGee | Remembering Virginia M. McGee | De Soto Obituary Search | Dietrich-Mothershead Funeral Home, Inc. Remembering Virginia M. McGee | De Soto Obituary Search | Dietrich-Mothershead Funeral Home, Inc.
Interment at 10:15am on Monday, October 1, 2018 at the National Cemetery at Jefferson Barracks. Virginia Mae McGee was born in St. Louis on May 4, 1933 a daughter to Clarence and Mary (nee Berger) Lincoln. She died at her Festus home on September 24, 2018 at the age of 85. She is survived by her children: Carolyn (Ed) Testa, El Cajon, CA, Albert (Jane) McGee, Festus, Donnie Marler, Park Hills, Rodney (Aida) McGee, Sahuarita, AZ, Patty Stogsdill, Festus, and Linda (Mike) Hogan, Festus; several grandchildren, great-grandchildren, and great-great-grandchildren; a daughter-in-law: Edna McGee, Hampton, VA; a son-in-law: Richard Hall, Festus; and three brothers: Robert Lincoln, Rodney Lincoln, and Clyde Lincoln. She is preceded in death by her husband: Albert Edward McGee; children: Timon McGee, Shirley Jones and her husband Cecil, Mary Rutledge, Barbara McGee, Joyce Hall, Francis McGee, Johnny McGee, Darrell McGee, and Paul McGee; one sister: Ruby Montgomery one brother: Larry Lincoln; and a daughter-in-law Vicki Marler. 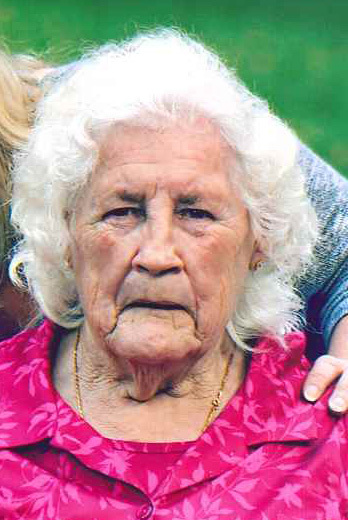 Virginia loved being outdoors, spending time with her family, and working her puzzle books. She was also an avid St. Louis Cardinal baseball fan.